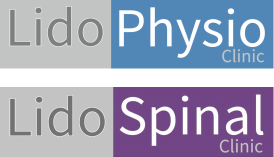 For the purpose of providing treatment, Lido Physio and Spinal Clinic may require detailed medical information. We will only collect what is relevant and necessary for your treatment. When you visit our practice, we will make notes which may include details concerning medication, treatment and other issues affecting your health. Contact details provided by you, such as; your telephone numbers, email address and postal address may be used to remind you of future appointments and provide reports or other information concerning your treatment. How is you information used? We store your relevant personal and medical data, during and after discharge from the clinic for as long as necessary, in line with our legal requirements. You are free at anytime to withdraw consent. The consequence of this may be that we cannot continue to provide full healthcare services to you.